Laura Bertucci Smith was recently appointed to the bench; she's seeking to hold this seat. A former Assistant State's Attorney and a lawyer since 1991, Smith ran in the 6th Subcircuit in 2002. She won the endorsement of the Chicago Tribune, but lost the race to Raul Vega. Stuart M. Brody was profiled here in an August 30 post. The link in the preceding sentence will take you to that earlier post; this is a link to Brody's website. Brody is a partner in the firm of Sneckenberg, Thompson & Brody, LLP. Nancy Hallihan Horodecki filed for the countywide Keehan vacancy but also filed in the 6th Subcircuit. Horodecki, admitted to practice in Illinois in 2004, is employed by the Teamsters. Mauricio Araujo works for James M. Hoffman & Associates, the in-house counsel for American Family Insurance. He was a finalist in the most recent round of Associate Judge selection and is a former president of the Puerto Rican Bar Association of Illinois. Mary Katherine M. Moore is an Assistant State's Attorney. She was admitted to practice in 1986. Moore made the Chicago Daily Law Bulletin in 2004 as an organizer of a "charity walk" on behalf of a friend and colleague who died from breast cancer. Brian Sexton is also an Assistant State's Attorney. A lawyer since 1987, Sexton is a supervisor in the Gang Prosecution Unit. Abdon M. Pallasch recounted Sexton's presentation to the Democratic slatemakers in this article -- but Sexton did not receive a countywide slating. He has, however, also filed for the Nowicki vacancy. Also filing was "E. Madeline O'Neill." I believe that this must be Eleesha Madeline O'Neill, an attorney since 1980, and, according to ARDC, employed by the Chief Judge's Office at the Cook County Juvenile Courthouse. Eleesha Madeline O'Neill ran for judge in the 6th Subcircuit in 1994 and filed again in 2006. She would have faced off against Gloria Chevere in the race for the "A" vacancy, but she was not on the primary ballot. An additional judgeship is up for grabs this year in the Fifth Subcircuit along with the vacancy of Judge Bernetta D. Bush. Four of these candidates filed for both vacancies. Helen Paxton filed only for Additional Judgeship A. Nkrumah Lumumba Hopkins and Furmin D. Sessoms filed only for the Bush vacancy. Judge Sessoms was only recently appointed to this vacancy by the Supreme Court; readers may recall the tension between the Supreme Court and the Alliance of Bar Associations for Judicial Screening that resulted from that appointment. According to Sullivan's Judicial Profiles, Sessoms holds an undergraduate degree from the University of California-Berkeley and a law degree from Georgetown. Licensed in Illinois since 1990, Sessoms began his legal career with the Cook County Public Defender's Office. After a seven-year stint in private practice, Sessons rejoined the PD's office, this time as "as chief of the 4th Municipal District Office and, immediately prior to joining the bench, as Deputy Public Defender." The Cook County Bar Association gave Sessoms its Harold Washington Award for community service in 2001. He's also been active in the National Bar Association, serving on the editorial board of its NBA Magazine. Sessoms has also served as executive director of the Chicago Southside NAACP chapter. Nkrumah Lumumba Hopkins is a solo practitioner with an office on East 53rd Street. An attorney since 1998, Hopkins' listing in Sullivan's says he focuses on real estate, probate and bankruptcy matters. Jackie Marie Portman, a lawyer since 1999, is making her second run for the bench. She finished fourth in the 2004 primary contest for the Cox vacancy, about 18,000 votes behind the winner, Edward Washington, II. Portman is employed by the City of Chicago Office of Professional Standards. Dominique C. Ross has been a lawyer since 1995. She maintains a solo office at 26th and Michigan. Her Sullivan's listing says she concentrates in family law and real estate matters. Stephen Stern is a former president of the Cook County Bar Association. He too has a solo law office; his is in the Loop. Stern ran for the Greene-Thapedi vacancy in the 5th Subcircuit in 2006, finishing third behind the winner, Diane M. Shelley. Andre Thapedi finished second in that same race. He is the son of former Circuit Judge Llwellyn L. Greene-Thapedi, with whom he is now in practice. Thapedi was an honors graduate of The John Marshall Law School and was admitted to practice in 1996. An article in the March 2006 issue of the Chicago Lawyer by Libby Sander noted that, before becoming a lawyer, Thapedi was arrested a number of times on "charges ranging from disorderly conduct to criminal trespass." However, the article noted, "All of the charges were dropped, and Thapedi was never convicted of any of the charges filed against him, according to court records." The article quotes John Marshall associate dean Linda R. Crane as 'vouching for Thapedi's character.' According to Sander's article, Crane described Thapedi "as a 'superstar student' who kept a hectic pace of academics and extracurricular activities, including competing in two national moot court competitions simultaneously, one of which he won," adding that Thapedi also served as president of the Black Law Students Association. The last of the named candidates, Helen Paxton, presents something of a problem for me: There is no listing for any Helen Paxton on the ARDC website, nor can I find her in Sullivan's. I do not for a moment suggest that Ms. Paxton is not an attorney. If she were not, however, she could not be elected as a judge. I would hope that the candidate, or someone who knows her, can leave a comment or send an email that resolves my confusion. William Edward Gomolinski was appointed to the Shultz vacancy in the 4th Subcircuit in July 2007; he filed Monday as a Democrat seeking to hold that seat. He ran countywide in 1998. Assistant State's Attorney Carmen Kathleen Aguilar also filed in the 4th Subcircuit; a former State's Attorney, John M. Allegretti, now employed by the Assessor's Office, is also in running. Jennifer Bae, a criminal defense attorney in private practice in the Loop, filed as a Democrat. Bae is a founding member of the Women's Criminal Defense Bar Association. Deirdre Ann McGuire is making another run in the 4th. She won the Democratic Primary in the 4th Subcircuit in 2004 -- but lost in the general election to William J. Kunkle. According to a February 4, 2005 story in the Chicago Daily Law Bulletin, McGuire raised and spent less than $10,000 in that campaign. Kunkle spent $220,000. McGuire, a lawyer since 1989, is an Assistant Public Defender. Rounding out the Democratic field is Pat Rogers of Western Springs. Mr. Rogers was admitted to practice in 1983. Republican contenders are Mauro Glorioso, Maureen H. Masterson-Pulia, and Peter Michael Sfikas. Sfikas is of counsel to Bell, Boyd & Lloyd LLP, having recently retired as a partner. Sfikas' practice is concentrated in health care and insurance litigation. A lawyer since 1962, Sfikas was also general counsel to the American Dental Association from 1995-2006. Before joining Bell Boyd, Sfikas was with Peterson & Ross. Masterson-Pulia, a lawyer since 1994, is an arbitrator with the Illinois Workers Compensation Commission. Glorioso is a hearing officer with the Illiois Property Tax and Appeal Board in Des Plaines. He's been an officer in the Justinian Society (currently serving as First Vice President); Glorioso was also elected to the ISBA Board of Governors in 2006. I don't know when Judge LaGuina Clay-Clark was appointed to the bench; the Law Bulletin seems not to have taken note, and the Order by which she was appointed seem not to have been preserved on the Supreme Court's website. They are not always. But I do know a few things: Judge Clay-Clark ran from the 1st Subcircuit in 2000 and 2004. Her spot on the ballot was challenged in 2000; a laudatory article in the March 21, 2000 Chicago Defender noted that LaGuina Clay-Clark had "volunteered countless hours working with Rainbow/PUSH coalition [and] indigent detainees" and was "a community activist who has worked for years in Chicago's South Side neighborhoods." A former elementary school teacher in the Chicago Public Schools, Clay-Clark became a lawyer in 1992. In 2000, her judicial candidacy was endorsed, according to the Defender, by Congressman Jesse Jackson, Jr. and State Senator Emil Jones. Clay-Clark finished a distant fifth in 2000, more than 10,000 votes behind John O. Steele, now a candidate for the Appellate Court. But by 2004, Clay-Clark finished second to Robert Balanoff, less than 5,000 votes behind the winner. According to the March 10, 2004 Chicago Daily Law Bulletin, none of the candidates in the 1st Subcircuit, including Judge Clay-Clark, submitted their credentials to screening by any bar association. Clay-Clark's one opponent so far is Donna L. Cooper, an officer in the Illinois National Guard attached to the 108th Combat Support Sustainment Brigade. I found a web reference that refers to her as a Major -- but the reference is four years old and I do not wish to be discourteous if she's been promoted. 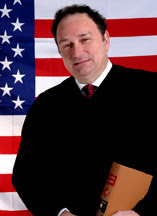 A lawyer since 1981, Cooper was among the finalists in the last round of Associate Judge selection. Cooper was also an Associate Judge finalist in 1999. She has also been an Assistant Corporation Counsel. She was called to active duty in Iraq in 2003. According to Bill Meyers' article for the October 22, 2003 Law Bulletin, Cooper "was the first Illinois JAG reservist called to duty there." Meyers' October 29, 2003 Law Bulletin article said that Cooper's responsibilities in Iraq included "finding and training new judges for Iraq." This was a daunting task, Cooper wrote in an email Meyers cited in his article, but "an amazing experience." Terry MacCarthy filed for four countywide vacancies on Monday -- but he withdrew from the races for the Healy and Montelione vacancies early this morning. For now, at least, MacCarthy remains in the races for the Glowacki and Nowicki vacancies. And it surely must be Halloween or something: Total number of candidates filing yesterday in Springfield? 666. Candidates can now bargain with each other or otherwise plot and scheme to figure out which race to stay in and which races to drop: Candidates can only stay in one. And, of course, there may be challenges filed to some candidates' petitions. It's also interesting to see that some of these individuals have given themselves a choice between subcircuit and countywide races. Here is a link to the State Board of Elections Candidate Filing page from which you can click to the "Printable List of All Active Candidates." The list has grown a couple of times already this morning since I've clicked in -- and it will continue to grow for awhile yet as the lottery-eligible filers are sorted out. We'll start looking at who filed where this evening. An email received from Thomas W. Flannigan announces that he will file for the Devlin vacancy in the 12th Subcircuit on Monday morning. The link is to Flannigan's campaign website. An attorney since 1983, when he graduated from DePaul University School of Law, Flannigan is a solo practitioner in the Loop. Flannigan took his undergraduate degree from Boston University in 1974 and holds an M.A. from the University of Chicago. A 1993 article in the Chicago Daily Law Bulletin announcing the opening of his Loop office advised that Flannigan had previously practiced law in Tokyo. Flannigan's website stresses his Japanese experience. More recently, Flannigan made the news as campaign manager for his wife, Ellen L. Flannigan, who ran in the 12th Subcircuit in 2000 and 2004 before being elected (by less than 1200 votes) in 2006. In a October 22, 2004 Law Bulletin article, Flannigan characterized his wife's campaign as "a dining room table campaign. Just us and our friends." He stressed at the time that he would not be seeking any campaign contributions. Flannigan's new website indicates that he will not accept any campaign contributions for this race either. Judge Thomas R. Mulroy, candidate in the 12th Subcircuit, has announced plans for a November 15 fundraiser. The fundraiser will be held at Mulroy's old firm, McGuire Woods LLP, from 5:30 to 7:00 pm. Three levels of tickets are offered: Individual tickets at $125 each or "sponsor" tickets for $250 or "patron" tickets at $375. For more information or reservations, contact Jill Toporkiewicz at (312) 849-8220 or email jtoporkiewicz@mcguirewoods.com. The filing period for judicial candidates opens Monday, October 29. Persons hoping to be first on the ballot need to be in line when the doors open in Springfield -- but being first in line won't help. All those in line at the proper time will be eligible for the ballot position lottery. That should be conducted on November 14. That's after the initial filing period closes on November 5. And, of course, that's after the November 10 date by which candidates who have filed in multiple races must withdraw from all but one. Candidates now are getting ready to file -- adding up their sheets, numbering them, having their lawyers review them. This may be a slow week for candidate announcements (but feel free to send me an email if you want to make one). So... while the rest of us are waiting... what can we do? Matthew Jannush sent an email yesterday advising that the Lesbian and Gay Bar Association of Chicago is sponsoring a program, "Inside the Illinois Supreme Court," with Justice Anne M. Burke this evening, October 25, starting at 5:00 p.m., in the Illinois Supreme Court Courtroom, 160 N. LaSalle. In order to attend, you must first register: Contact jgottschalk@lagbac.org to RSVP or for more information. Too short notice for you? Here's a link to John Flynn Rooney's article for the October 2000 issue of Illinois Issues about what Cook County judicial primary campaigns cost... in 2000. And, since we're on the topic of money, here's a link to "Open Book", a site put up by Illinois State Comptroller Daniel W. Hynes, that bills itself as "a searchable database of state contracts and campaign contributions." (Found via the Capitol Fax Blog.) You can always look at the State Board of Elections site, too, to follow campaign contributions or campaign expenditures. And you'll notice I said that the "initial filing period" closes on November 5. There may be another. A special judicial filing period may open up between November 19 and November 26, 2007 -- depending on which, if any, vacancies open up between October 15 through November 5, 2007. Some additional vacancies are anticipated. Judge Gillespie running in 8th Subcircuit? Susana Darwin, a former President of the Lesbian and Gay Bar Association of Chicago, has sent another email. Ms. Darwin recently advised about a number of candidates for the Nancy Drew Sheehan vacancy in the 8th Subcircuit -- but she wrote again yesterday to advise that she's learned of still another one: Associate Judge Daniel T. Gillespie is reportedly circulating petitions for the Sheehan vacancy. A former Chicago police officer, Gillespie attended The John Marshall Law School at night while still on the force. After graduation Gillespie joined the Public Defender's office. After six years as a PD, Gillespie became an Assistant State's attorney in the narcotics division. He later went to the Attorney General's office, serving in the nursing home division. Gillespie became an Associate Judge in 1988. In 2004, the Illinois Judges Association bestowed the President's Service Award on Gillespie. Associate judge applications to reopen soon? I wasn't able to attend the October 17 Alliance of Bar Associations for Judicial Screening's program "A Guide to the Alliance Judicial Evaluation Process," but Assistant State's Attorney Matthew Jannusch, a member of the LAGBAC JEC, wrote today to advise that Chief Judge Timothy Evans made some news at the program: According to Jannusch, Judge Evans told the group that he's written the Administrative Office of the Illinois Courts advising of five vacancies in the office of Associate Judge and requesting permission to open a new application process. There will be a 30 day window for applications when the court receives permission to post the vacancies -- and while the applications are pending (and they often remain pending for many months), the number of vacancies is likely to grow. For the last class of associate judges, for example, there were 242 applicants for what turned out to be 31 positions. Associate judges are elected by the full circuit judges (the judges elected by the people). In Cook County, a screening committee composed of judges will sort through all the applications and choose two finalists for every vacancy. Thus, in the last class, 62 finalists were chosen for the 31 positions. The circuit judges will make their choices from this list of finalists and the candidates finishing in the upper half of the voting will go on the bench. A campaign committee has been organized on behalf of Ivan Tomic. The committee detail indicates that Tomic plans to join the field of candidates in the 10th Subcircuit. A lawyer since 2000, Tomic is a partner in the Chicago firm of Avila & Tomic LLC. 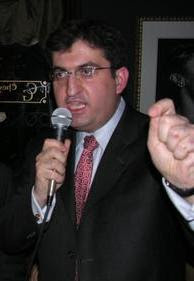 Tomic also made the news in 2005 as the lawyer for Dominic Longo, of the Coalition for Better Government. Tomic photo by Patrick McDonough and obtained here. The Illinois Alliance Committee for Judicial Integrity? Found at the State Board of Elections: The formation of something called the Illinois Alliance Committee for Judicial Integrity. No officers, previous officers, candidates or propositions are shown as associated with this committee. At the end of June 2006, in what the Chicago Daily Law Bulletin called a "whirlwind week," Michael B. Hyman, long-time partner at Much, Shelist, Freed, Denenberg, Ament & Rubenstein, P.C., finished his term as the 129th President of the Chicago Bar Association and was appointed to the Cook County Circuit Court bench. Although possessed of what the Chicago Sun-Times called a "gold-plated resume," Judge Hyman didn't rest on his credentials: Even though he'd not been previously active in party politics, Hyman actively courted -- and obtained -- the Democratic nomination for the Nowicki vacancy to he'd been appointed. Judge Hyman's web site is now up and running. A lawyer since 1977, concentrating in antitrust, securities fraud and consumer fraud matters, Judge Hyman's undergraduate degree was in journalism -- and he's made use of his writing skills throughout his legal career. 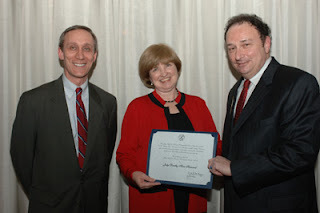 In addition to many leadership posts in the American Bar Association, the Illinois State Bar Association, the Chicago Bar Association, and the Decalogue Society, Hyman has also been active in SCRIBES, the American Society of Legal Writers, serving as a member of the organization's board since 2004 and as treasurer in 2005. He's edited two publications for the ABA Section of Litigation, Litigation News (1990-1992) and Litigation Docket (1995-2001). I had the opportunity to serve on the Board of Editors of the CBA Record for a few of the many years that Judge Hyman has served as Editor of that publication; he's currently editing that publication, as he did from 1988-1990 and again from 1993 through 2004. Since his appointment to the bench, Judge Hyman has become a contributor to The Gavel, the publication of the Illinois Judges Association. Judge Hyman has also served as a board member of the People's Uptown Law Center since 2004 and as a board member of the United States Autism and Asperger Association since 2005. An email today from Judge Thomas R. Mulroy, appointed to the bench in February 2007, and a candidate for the Donald M. Devlin vacancy in the 12th Subcircuit, advises that he's been slated by the Democratic Party in that race. Judge Mulroy writes that he is thrilled to receive the endorsement. Meanwhile, in the 14th Subcircuit, a second vacancy has recently opened up because Judge James F. Henry has decided to step aside. Previously only the Ralph Reyna vacancy was available in that Subcircuit. Here's a link to the updated list of maintained by the Illinois State Board of Elections. No additional countywide vacancies have yet opened up for Stephen J. Connolly, Diann K. Marsalek, Sandra G. Ramos, or Dennis J. Burke -- all endorsed (pre-endorsed?) by the Democratic Party for vacancies that don't yet exist. This website is still under construction. Judge Wilson was appointed to a vacancy in August; he was subsequently slated by the Democratic Party for the Montelione vacancy. A lot of websites for judicial candidates should be coming online now almost every day. If you know of a new site, please leave a comment here or email this blog. Susana Darwin, a former President of the Lesbian and Gay Bar Association, sent me an email today, advising of a number of potential candidates for the one open 8th Subcircuit vacancy, the vacancy of Judge Nancy Drew Sheehan. Darwin advises that Ann Collins Dole, Chief Assistant Corporation Counsel in the Torts Division, is apparently going to the make the run in the 8th. Collins Dole ran for a countywide vacancy in 2006, winning high marks from every bar association and the endorsements of the Tribune and Sun-Times, but lost to Aurelia Pucinski. James A. Shapiro, recently appointed to the bench by the Supreme Court, is also apparently making the run for this seat as is Anne Marie Belanger, a partner in the Chicago office of Query & Harrow, Ltd.
Aaron Weiss, an Assistant Public Guardian in the Juvenile Division, is also circulating petitions as are Assistant State's Attorneys Gideon A. Baum and Jim Byrne. According to Ms. Darwin, it is Byrne who received the nod from the Democratic Party in the 8th Subcircuit. There is, of course, only one response possible in these circumstances: Mea culpa, mea culpa, mea maxima culpa. And I corrected the omission in the original post. Submitting one's credentials for evaluation by other lawyers may be the most intimidating aspect of running for judge. At least the most intimidating aspect other than asking people for money. To help candidates understand what is expected, the Alliance of Bar Associations for Judicial Screening will host a program entitled "A Guide to the Alliance Judicial Evaluation Process" on Wednesday October 17, 2007 at the Chicago Regional Office of the Illinois State Bar Association, 20 South Clark Street, Suite 900. Cook County Chief Judge Timothy C. Evans will provide welcoming remarks for the program, which will run from 5:15 to 7:00 p.m. Admission is free, but registration is requested. Assistant State's Attorney Z. Williams, the First Vice President of the Cook County Bar Association, was kind enough to call my attention to this program today. A flyer for the program promises that a panel of Alliance bar representatives will be on hand to "explain each aspect of the Alliance judicial evaluation process, give guidance on how candidates may most effectively present their credentials, and answer questions" about the process. For more information about the program, and to register, please contact Joyce Williams at the Illinois State Bar Association at (312)726-8775 or by email at jwilliams@isba.org. I spoke with her this afternoon and confirmed that the Alliance questionnaire is not currently available online. However, Ms. Williams said she can email it to candidates upon request -- and, of course, it might be helpful to have looked over the questionnaire before attending the program on October 17. In addition to the CCBA and the ISBA, other Alliance members sponsoring the October 17 program are the Asian American Bar Association, the Black Women Lawyers' Association of Greater Chicago, the Chicago Council of Lawyers, the Decalogue Society of Lawyers, the Hellenic Bar Association of Illinois, the Lesbian and Gay Bar Association, the Puerto Rican Bar Association of Illinois, and the Women's Bar Association of Illinois. Note: The Chicago Bar Association is not a member of the Alliance. It conducts its own evaluation of judicial candidates and you can download the CBA evaluation form by clicking this link. Please note that, according to its website, the CBA expects all candidates to complete and return their questionnaires and all other required forms by November 6, 2007. The Alliance and CBA questionnaires request similar information -- but they are not the same -- and it will take some considerable time to complete both. Speaking only for myself, I would hope that all serious candidates will take that time. Got change for a million dollar bill? I first saw this story this morning on Yahoo! News. This picture ran with the CNBC story today about the unidentified man who walked into a Pittsburgh grocery and tried to make a purchase with a million dollar bill. I can't say with certainty that this is a copy of the bill in question, but Jill King Greenwood's story about the incident in today's Pittsburgh Tribune-Review did say the bill contained a likeness of Grover Cleveland. I can, however, say that this unidentified man (he had no ID on him when he was arrested) is not the first to try and pass a million dollar bill. Here is a link to an archived story on The Smoking Gun about a Georgia woman who tried to make $1,671.55 purchase at a Wal-Mart by presenting a similar bill. The cashier turned the woman over to her manager instead of forking over $998,328.45 in change. The would-be millionaire in Pittsburgh didn't even try and make a purchase. According to Ms. Greenwood's story, he simply asked for change. (Don't you just hate it when you don't have change for the parking meter?) The CNBC account of this story says that the clerk became "suspicious" when presented with the bill. All parties to the arbitration hearing must participate in the hearing in good faith and in a meaningful manner. If a panel of arbitrators unanimously finds that a party has failed to participate in the hearing in good faith and in a meaningful manner, the panel's finding and factual basis therefor shall be stated on the award. Such award shall be prima facie evidence that the party failed to participate in the arbitration hearing in good faith and in a meaningful manner and a court, when presented with a petition for sanctions or remedy therefor, may order sanctions as provided in Rule 219(c), including, but not limited to, an order debarring that party from rejecting the award, and costs and attorney fees incurred for the arbitration hearing and in the prosecution of the petition for sanctions, against that party. I have served as an arbitrator in the Cook County Mandatory Court Annexed Arbitration program since it was instituted. On several occasions prior to the 1993 addition of Rule 91(b), I personally observed counsel come to hearings armed with only a newspaper, sometimes working the crossword puzzle while the other side put on a case. This was -- under the original arbitration rules -- permitted: The right to reject the inevitable adverse award was preserved. Nor was my experience unusual, as the comments to Rule 91(b) make clear: "Prior to the adoption of these sanctions, there were complaints by arbitrators that some parties and lawyers would merely attend but refuse to participate in arbitration. This paragraph was adopted to discourage such misconduct." But not only does the rule apply to how a party conducts itself at the arbitration hearing itself, the rule has been interpreted in such a way as to include a party's prearbitration conduct within the ambit of the rule. Campuzano v. Peritz, 2007 WL 2821967 (Ill.App. 1st Dist. 9/28/07), is the latest case to find that failure to comply with a self-executing discovery order is conclusive evidence of bad faith for purposes of an arbitration hearing. Spurred thus to action, defendants complied... in part. Howard Peritz, the driver of the car at the time of the collision with Ms. Campuzano's vehicle, appeared for deposition on November 11. Revelie Peritz never appeared; neither Howard nor Revelie ever answered the Interrogatories. The court-ordered discovery cut-off slipped by on November 29, 2004. The case was thereafter set for arbitration on April 5, 2005. No effort was made to vacate the discovery order during that time. At the arbitration, plaintiff advised the panel about the unfulfilled discovery order; it was duly noted in the award form completed by the arbitrators. Defendants admitted negligence at the hearing, but apparently participated to the limited extent that they could under the order. However, the Appellate Court said the arbitrators "concluded that all parties participated in the arbitration in good faith." (Slip op. at p. 2.) Nevertheless (and to no one's surprise) the arbitrators entered an award in favor of plaintiff and against Howard Peritz. When the case came back to the Circuit Court, defendants finally moved "to vacate the discovery order sanctioning their failure to comply with plaintiff's discovery requests." The opinion does not indicate whether compliance with the written discovery was tendered with the motion; my impression is that it was not. "Plaintiff responded by arguing the sanction was appropriate and moving to bar defendants' rejection of the arbitration award under Rule 91(b)." (Slip op. at p. 2.) The trial court denied defendants' motion, granted plaintiff's motion and entered judgment on the arbitration award. Both the Appellate Court's majority opinion, written by Justice Robert Cahill, and the dissent, authored by Justice Robert E. Gordon, analyze the case in terms of good faith participation in the arbitration process under Supreme Court Rule 91(b). The majority explains that this rule "requires that parties participate in an arbitration hearing in good faith by subjecting the case to the type of adversarial testing that would be expected at a trial." (Slip op. at p. 3, citing Walker v. Lewis, 352 Ill.App.3d 952, 956, 817 N.E.2d 928 (1st Dist. 2004)). In his dissent, Justice Gordon did not disagree with this fundamental proposition: "The point of Rule 91(b) that the majority is greatly concerned with, and rightfully so, is to 'prevent the abuse of the arbitration process and to uphold the integrity of the arbitration process.'" (Slip op. at p. 12, quoting State Farm Insurance Co. v. Kazakova, 299 Ill.App.3d 1028, 1033, 702 N.E.2d 254 (1st Dist. 1998)). But, Justice Gordon contends, "The facts in this case do not indicate that defendant Howard's conduct in not answering plaintiff's written interrogatories was an abuse of the arbitration process, or that it affected the integrity of that process." (Slip op. at p. 12.) I suppose one must agree or disagree with this statement based on what is seen as the arbitration "process." If arbitration "process" means the same as arbitration hearing, the dissent has a point: And, consistent with the original impetus of Rule 91(b), the Supreme Court uses the word "hearing" repeatedly in the text of the actual rule -- twice in that first sentence of Rule 91(b) alone. In Campuzano, therefore, while the defendants seem to have been somewhat lackadaisical in their approach to court-ordered discovery before the hearing, that does not mean that they were not, at the arbitration hearing itself, models of decorum and professional preparation. In Campuzano, it seems apparent that all sides, including the trial court, saw plaintiff's attempt to debar the defendants' rejection of the award as an attempt to secure a finding that defendants had acted in bad faith at the hearing. Thus, defendants argued that their apparent good faith participation at the arbitration hearing should have preserved their right to reject the award. In support of their position, defendants cited cases such as Ruback v. Doss, 347 Ill. App. 3d 808, 815, 807 N.E.2d 1019 (1st Dist. 2004). The majority found these citations of limited assistance. In Ruback, for example, the defense had argued that plaintiff had elicited testimony in contravention of the Dead Man's Act, 735 ILCS 5/8-201 -- and won the maximum possible award from the arbitrators in the process. The defense persuaded the trial court of this position without a transcript of the arbitration hearing itself. In Campuzano, the defendants admitted negligence for purposes of the arbitration hearing. The dissent notes that, in general, "discovery as to a defendant is not necessary for arbitration or trial by the plaintiff when negligence is admitted." (Slip op. at p. 12.) The majority did not entirely disagree with this assertion, but felt it was irrelevant (slip op. at p. 9): "The dissent’s argument that prehearing discovery is less important when liability is admitted may well be valid. But the proper forum for that argument is the courtroom of the judge about to enter the order. There are procedural steps available to an attorney aggrieved by the entry of a nonappealable discovery order." The question in my mind is whether arbitrators hearing cases after Campuzano or Lopez v. Miller, 363 Ill.App.3d 773, 844 N.E.2d 1017 (1st Dist. 2006), are now expected to find that a party has acted in bad faith whenever a party calls to the panel's attention a failure to comply with a discovery order, particularly a self-executing discovery order like that at issue in Campuzano. Arbitrators in Illinois' mandatory court-annexed arbitration system have very limited powers as set out at Supreme Court Rule 90. In Cook County, arbitrators have been asked to submit to a couple of training sessions in recent years; one of the things that arbitrators have been instructed to do at those sessions is to remember to record, on the award form, those discovery issues that the parties call to their attention at a hearing. No particular instruction has been offered on how or whether the arbitrators should take this default into account in discharging their obligation to determine whether the parties acted in good faith at the hearing; the general instruction has been to record the existence of the order and let the court sort it out in post-arbitration motions. Perhaps, in light of Campuzano, these instructions will need to be revised. Debra B. Walker, a partner with Clausen Miller PC, has organized a campaign committee. Walker was a finalist in the most recent round of Associate Judge selection. She served as President of the Women's Bar Association of Illinois in 1998-99. A C.P.A. as well as a lawyer, Walker's Clausen Miller biography reports that Walker has "was recently appointed to the Illinois Supreme Court Commission on Professionalism and to the Board of Directors of the Illinois Bar Foundation." Senator Richard Durbin appointed Walker to his nominations commission. Walker is also a past president of the North Michigan Avenue Business and Professional Women’s Network. A committee has also been set up to support Joan Ellen Smuda's new bid to regain a seat on the Cook County Circuit Court. Currently an Assistant Attorney General, Smuda was appointed to the Circuit Court in 1995 but lost her 1996 primary bid to keep her seat when she was unable to secure the Democratic Party endorsement. Smuda has also served as general counsel for the Polish Roman Catholic Union of America. A D-1 has been filed for the Friends of Carmen Kathleen Aguilar, an Assistant State's Attorney. Ms. Aguilar is apparently planning a run in the 4th Subcircuit. Another Assistant State's Attorney, Anna Helen Demacopoulos has recently reorganized a campaign committee. Ms. Demacopoulos was a candidate in the 15th Subcircuit in 2002 and 2004 primaries and was a finalist for Associate Judge in 2003 and 2005. A committee has also been formed to support the candidacy of James E. Babcock Jr. in the 13th Subcircuit. Babcock, a lawyer since 1985, is a partner with Spinak & Babcock PC in downtown Chicago. Babcock and his partner made the Law Bulletin in 2006 when they won a $5.4 million verdict on behalf of a client after a two week trial in the Federal Court (Caletz and Evans v. Transport Carriers Inc., et al., No. 99 C 8146). Immaculate Conception School, on Chicago's Northwest Side, is one of seven schools in the Archdiocese of Chicago to win a Blue Ribbon Award from the U.S. Department of Education. Here is a link to the press release issued by the Archdiocese congratulating all of the winning schools. 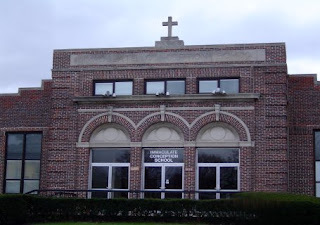 Of the prize-winning Catholic schools, only Immaculate Conception School is located in the City of Chicago. The Chicago Sun-Times reports this morning that one Chicago public school also won the award, Horace Greeley Elementary School near Sheridan and Halsted. The award for Immaculate Conception School is particularly gratifying for me because my wife is a teacher there and each of my five children graduated from that school.